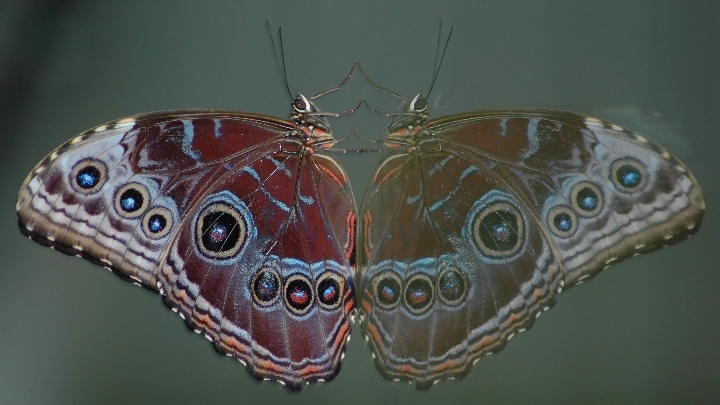 A butterfly in the Vancouver Aquarium 'Tropical Zone', this one was sitting on the glass of a marmoset enclosure. Took the picture at 300mm with flash. Post Prod: Neat Image with slight sharpen, increase saturation 3%. Good enough photo, but the doubling in the reflection makes magic and delight. great capture. sharp and full of detail. Proudly hosted by Sargasso Networks. Current Server Time: 04/20/2019 02:57:20 PM EDT.